Four AFC Bournemouth loanees were in midweek action this week, and forwards Jermain Defoe and Jake Scrimshaw both added another goal to their tallies. Defoe, who also scored last weekend, now has three goals in five appearances for Rangers, after coming off the bench with 20 minutes remaining to score in his side’s 4-2 win over Aberdeen on Wednesday. It was a fierce encounter with a red card for each team, but the win takes Steven Gerrard’s side to within six points of league leaders Celtic, as Defoe’s typical striker’s finish wrapped up the three points. 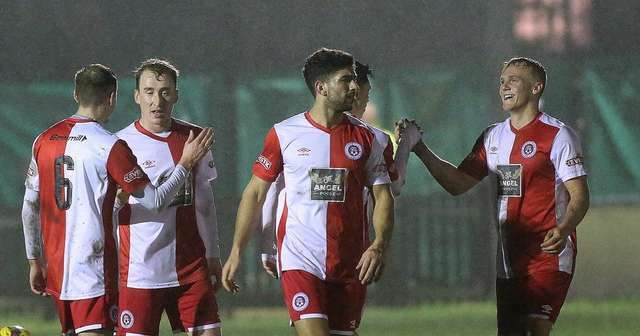 At the opposite end of the UK, Scrimshaw showed similar goalscoring instincts to be in the right place at the right time and get his name on the scoresheet in Poole Town’s 3-1 win over Walton Casuals on Tuesday. The AFC Bournemouth Academy loanee was called into action early on, as an injury to James Constable inside ten minutes forced boss Tommy Killick to make an early change. The Dolphins went 1-0 down, but Scrimshaw guided in a powerful shot from Sam House on the 40th minute to equalise. A second consecutive victory takes Poole up to sixth in the Evo-Stik Southern Premier League South. Looking up the tiers, Alex Dobre played 75 minutes in Yeovil Town’s 1-0 defeat away to Cheltenham, a result which leaves the former just three points above the League Two relegation zone. Returning to Scotland, Mikael Ndjoli came on with 11 minutes to go as Kilmarnock came from behind to draw 2-2, missing the chance to go third and above Aberdeen in the Scottish Premiership. Images provided by Andrew Orman.